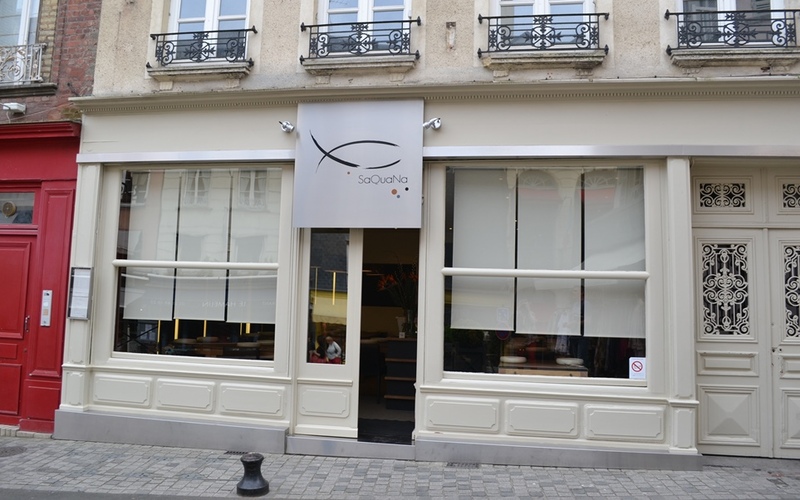 Orginally from the southern town of Rodez, chef Alexandre Bourdas first opened his restaurant Le SaQuaNa 9 years ago. At that point, he had just returned to France with his wife after a 3-year stint in Japan. Bourdas’ career was never going to be that quiet and his path had already been touched by stars, having worked with the likes of Michel Bras at his 3-star restaurant in Laguiole in his native Aveyron. It was to work for Bras, in fact, that Bourdas had gone to Japan in 2003. “I became a slightly heavier machine in the end,” he says philosophically. Having started with 7 employees, the Sa Qua Na (the restaurant gets its name from the Japanese word for “fish”) now has 17 staff. 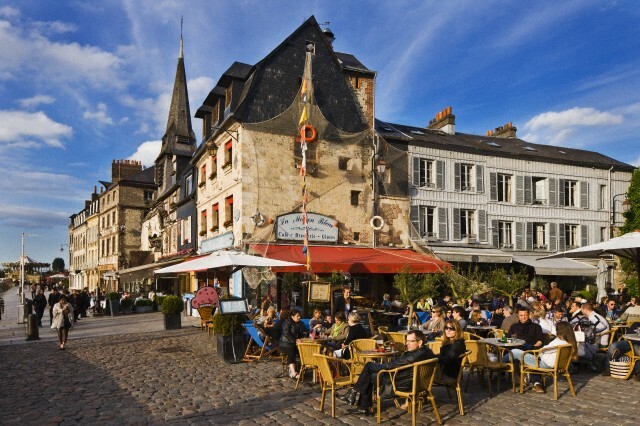 Honfleur is one of the prettiest towns in all of France. Its mediaeval streets are busy all through the year with millions of visitors, mainly from across the Channel in Britain and from the French capital only a couple of hours away. It’s a busy but highly competitive place to open a restaurant in a town where standards are high and value is keen. Why did he choose it? “It was pure chance,” he admits. “In fact, when we came back from Japan, we spent a year settling back in. I didn’t want to come to Honfleur because I thought it was too touristy – there were too many people and I tried everything to avoid ending up here. “That’s it – Honfleur chose me! One day, I saw this restaurant for sale on the internet. So I called yourman and said ‘I’m interested – the price seems right’. I went to see it that evening and the whole thing moved very fast from there. We had been so long looking for the right place that by then, our cash reserves were depleting and we had to buy some place soon or we’d be spending the rest of our lives searching! Fresh start every day: the front of the Sa Qua Na, Honfleur. 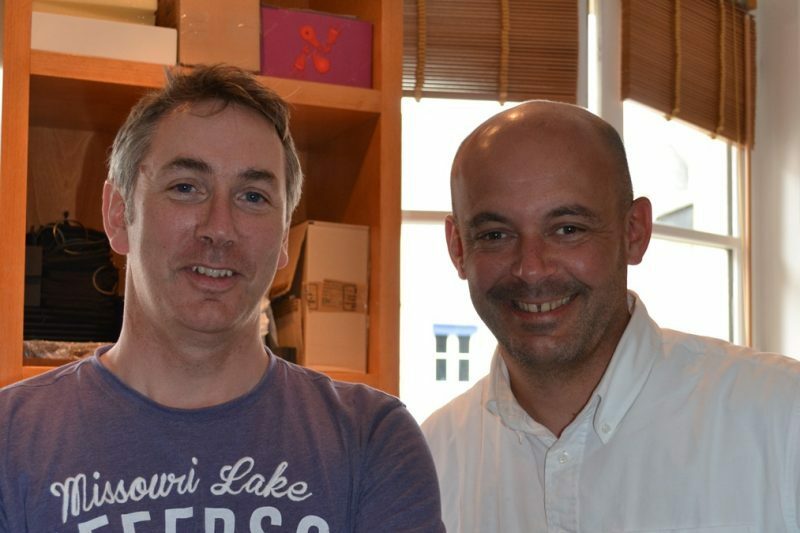 The Sa Qua Na has just one menu and operates on the basis of using whatever ingredients are available from the local supplier and working from there. “In principal, the menu is conceived and executed fresh fresh every day. We’re open from Thursday to Sunday inclusive and every morning, we buy the necessary ingredients to feed our customers for lunch and for dinner. So, every day, we cook for one day. “The idea, essentially, is to go to the vendor and say: ‘Right. I’ve 15 people for lunch today and 30 for dinner: What have you got?’ Then the fishmonger will say ‘Well, I’ve 3 sea bream and 6 cod’ and I take all that and I get cooking. 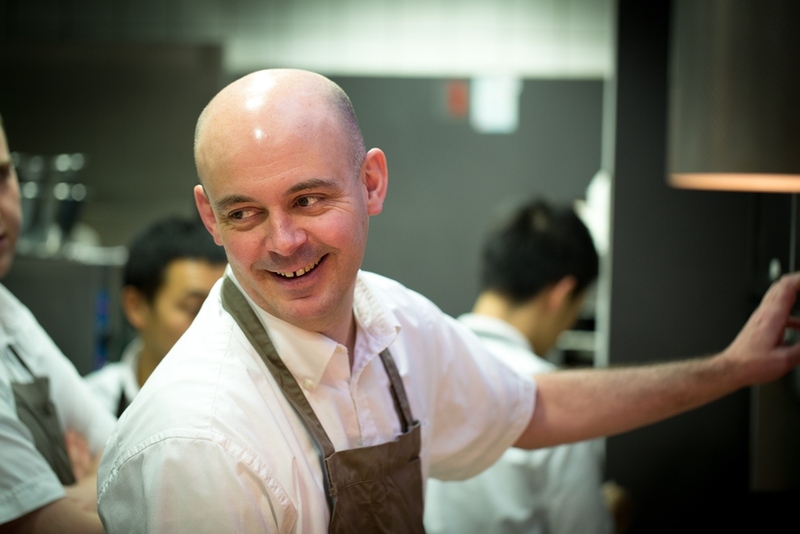 In practice, it may not be a different menu every day because if sea bream or courgette is in season, then they may very well be on the menu for a few days running, Bourdas explains, but while the menus may be similar from one day to the next, they essentially start from zero every morning. “Up until July, we didn’t know if we were going to remain open from one day to the next. People weren’t coming. We had a very atypical place from so many points of view: at the time, you could smoke in restaurants, but we didn’t accept smokers. We wouldn’t allow dogs either. We didn’t do any sea food, we had no Coke, no Martini… we only did wine. It was really a completely different vision of what a restaurant should be. So people would come in and say ‘What, you don’t do sea food?’ and we said ‘No we don’t’ and it was getting to the point where we were really thinking ‘Right, will we just sell it tomorrow?’ but then we really didn’t want to, so it was all really hard. They stuck to their guns and managed to avoid disaster by virtue of the fact that once July came, all the other restaurants in town were packed out and customers had to try Bourdas’ reinvented traditional French restaurant. Once they tried it in numbers, they were hooked. Journalists came along too – curious to find out what the protégé of the great Michel Bras was up to with his stripped-down menu and his smoking ban and were subsequently bowled over. Nine months after Bourdas opened the doors of the Sa Qua Na, the restaurant had its first Michelin star and success was now assured. Since then, the property has acquired a second Michelin star and Bourdas has opened a restaurant in Paris. This latter one is a unique experiment – a high-quality fast-food using a pascade – a traditional type of puffed pancake filled or garnished with whatever you’re having for hungry Parisians on the move. So what’s next for the Bourdas empire? Alexandre says that right now, he doesn’t envisage any more grand projects involving investment. If, for example, someone else wanted to take a punt on La Pascade going international and opening a franchise chain around the world, he wouldn’t be adverse to signing a contract to make it happen but as regards sticking his neck out too far again, he doesn’t think so. Why not?